At Services for Plastics, Inc., we believe there’s nothing more important than getting it right the first time! That’s why our team of engineering experts does whatever it takes to design the best barrel or screw to match your application. Once the design is complete, our barrels and screws are precision built to provide you with the highest level of quality and performance possible. Each barrel and screw is then quality inspected for dimensional accuracy, straightness, and surface finishing. We have more than 1000 barrels and screws IN STOCK, which are available for same day shipping. We carry the most popular brands, as well as the hard-to-find ones. If you need something other than the standard sizes, we can build it for you. We have thousands of prints for all major molding machines. And if we don’t have your print, we can design from your product sample. Need assistance? Services for Plastics, Inc. has been solving plastic molding problems for its customers for over 25 years. With over 150 years of hands-on molding experience, our design engineering team provides all the technical support you need. To save time, you can now request a quote on-line. Simply visit our website at www.servicesforplastics.com and click on "REQUEST A QUOTE." We’ll expedite your request and have a price to you within 24 hours. It’s convenient, quick and simple to use. With our huge selection of barrels and screws, we'll likely have what you need IN STOCK. If we do have it in our inventory, we will ship it the same day. If we don’t have what you need, we can build it for you in very little time. And when expediting is required, we can ship your new screw or barrel in as little as two weeks or less. We guarantee our barrels and screws to be free of defective materials and workmanship for 90 days (industry standard). Extended life warranties are available on some materials. Services for Plastics, Inc. is committed to providing the plastic molding industry with the highest quality products at the lowest prices and to extend personal, expedient customer service. 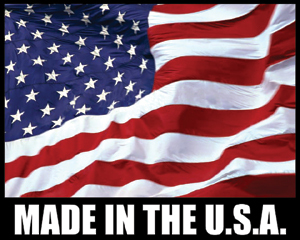 We utilize our knowledge and hands-on molding experience to provide you with superior quality new and rebuilt barrels and screws "Made In The U.S.A."